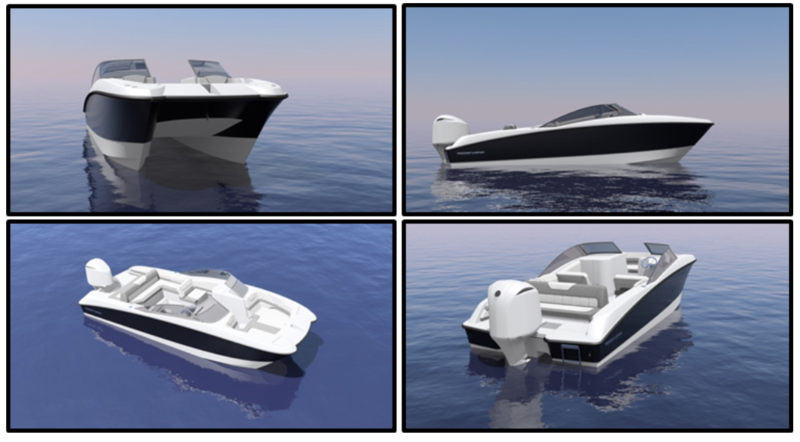 Manufacturing and selling recreational boats with unique power catamaran multi-hull designs. February 2018’s CCI of 130.8 is less than 2 points away from the all-time high reached in November 2000 of 132.6 when new powerboat units reached an all-time high of 340,000 units. 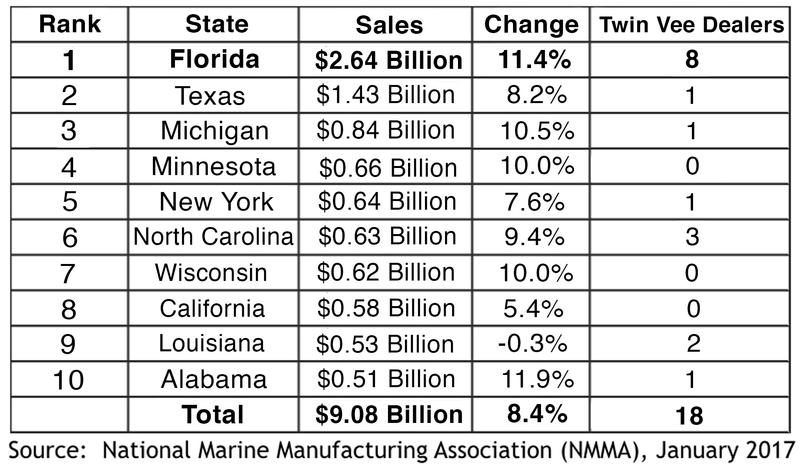 According to the NMMA, Florida is the largest powerboat market in USA at $2.64 billion growing 11.4% year over year; 95% of all boats bought in Florida are made in Florida, making it one of the most competitive markets in the USA. The 26 foot segment is growing 46% faster than the overall market as 95% of all boats bought are 26 feet or smaller. 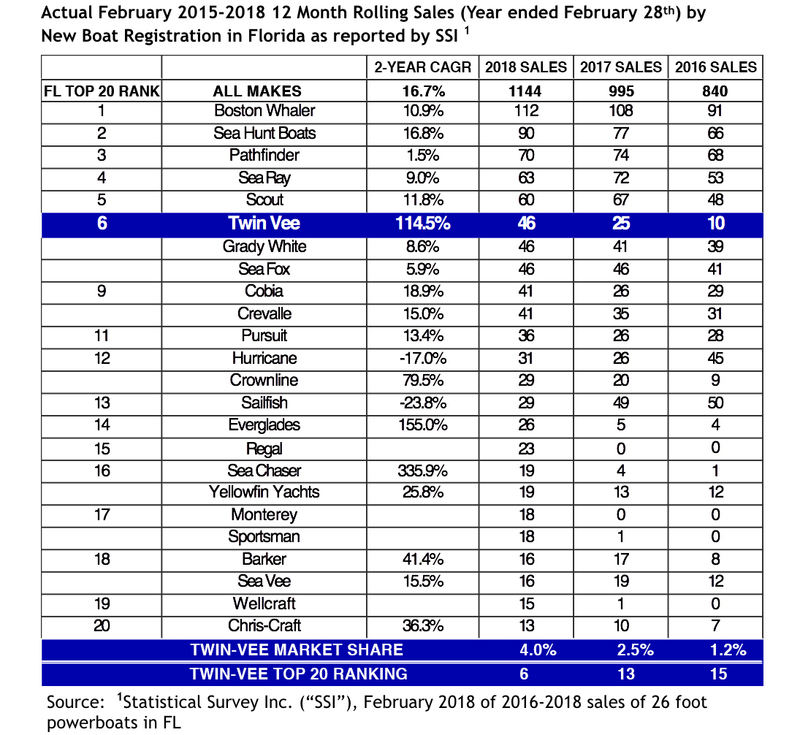 Ranked #6, Twin Vee has tripled its market share of the 26 foot segment in the past 3 years despite having only 8 FL dealers versus an average of 18 for the Top 5 FL Dealers. Twin Vee’s growth strategy includes adding more new dealers in Top 10 markets and more new CNC-milled products in the 23 foot to 26 foot segments. Ride Quality: Narrow, twin hulls form a counter-rotating hydro-vortex “cushion” with reduced wetted surface area, instead of bouncing on the waves like wide mono-hulls. Designed to offer a smooth, dry ride, we believe Twin Vees tend to stay in the direction they’re pointed, especially in rough seas and easily cut through wakes. In independent tests1 into 4’ to 5’ seas, 6 second intervals, at 29 mph, twin-hull vs monohull had 25% less gravitational force (3 Gs vs 4 Gs) with 350% less deceleration (0.3 seconds vs 0.08 seconds). Stability: The widely spaced hulls offer superior stability because the buoyancy is distributed to the outside edges, unlike precariously centered mono-hulls. In the same independent test into 4’ beam seas, the twin-hull had 28% less lateral force than the monohull (0.9 Gs vs. 1.2 Gs). 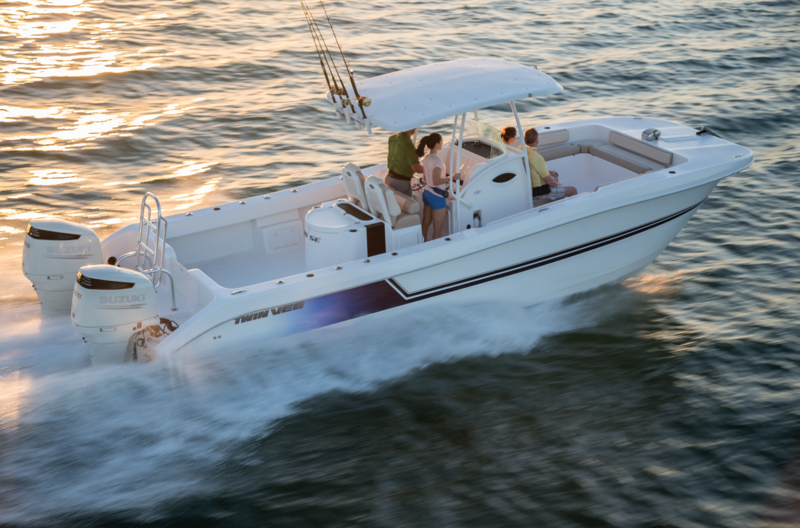 Fuel Efficient: Producing about one-third the drag of a monohull, the Twin Vee has better fuel efficiency. Using less power, it can maintain the equivalent cruising speed of a mono-hull, allowing use of smaller engines – which should result in cost savings. 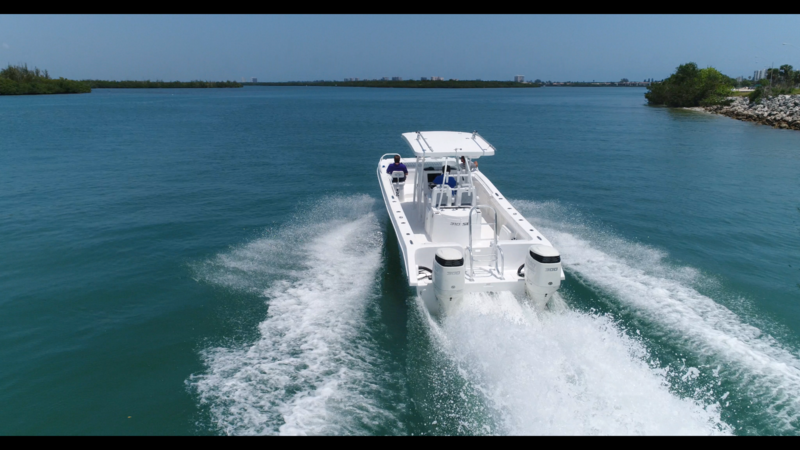 Even at the same speed and on the same power2, Twin Vee 310 was 19% more fuel efficient than a Robalo 302. Safety: Twin-hull’s draft are 4” to 7” less than an equivalent length monohull which permits safer access to shallow water. In addition, the twin-engine versions can typically get up to cruising speed even on one engine, enabling quick return to the dock in the event of an engine failure. Maneuverability: The motors can be cross-clutched to turn the boat within its own length while docking and can also execute tight, stable turns, even at full speed. 1Boating, December 2004: Catamaran vs. V-Hull: Which Rides Better? We believe we have built a position of industry leadership on the basis of a high quality product line offering superior value, superior performance and superior resale value. 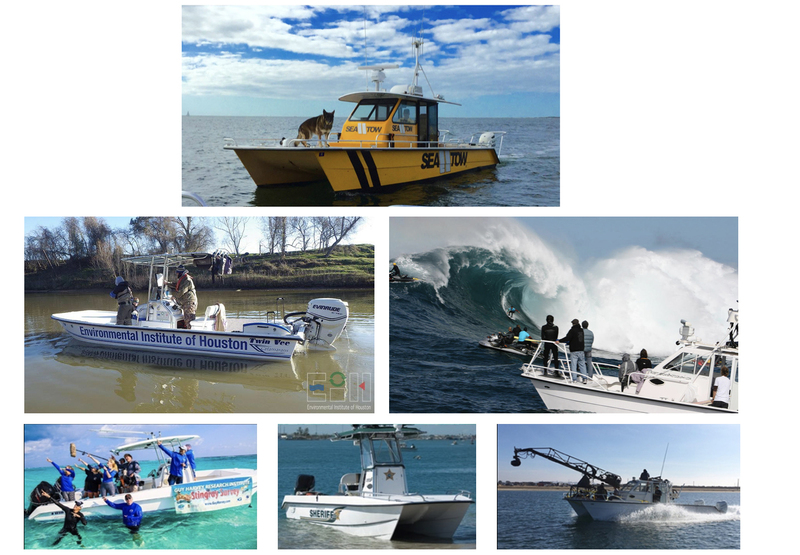 We believe Twin Vee PowerCats are renowned for their industrial grade quality, stability and reliability to meet the most rigorous demands of the commercial markets with customers in law enforcement, public safety, environmental services, hospitality and the motion picture / television industry. Motion Picture & Television: Filmed James Bond, Pirates of the Caribbean, Bay Watch, America’s Cup, Discovery Channel Shark Week, etc. Mr. Visconti has more than 25 years of senior-level executive experience in fields including financial services, real estate, media, manufacturing, and sales and marketing. Mr. Visconti has acquired businesses that he believes have benefited from his turnaround and growth phase management skills. 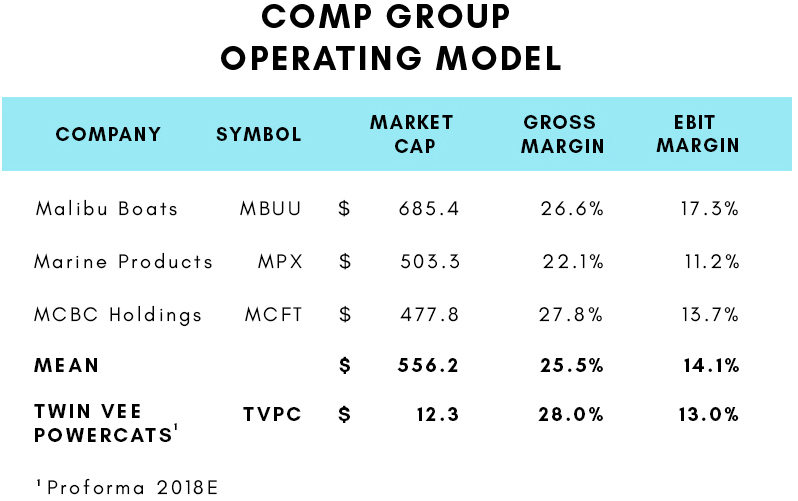 Mr. Visconti has launched four companies with three exits including an IPO on the American Stock Exchange. Mr. Yarborough is the Director of Product Development and has 18 years with Twin Vee. Mr. Yarborough has experience including yacht design and manufacturing, fiberglass production, material handling, plug and mold design and production, vacuum bagging, resin infusion, process development and implementation, purchasing, Q.A., electrical systems, plumbing and navigational systems, lean manufacturing, personnel management, process refinement, as well as sales and marketing. Ms. Ball has served as Director of Operations, Dealer/Sales Coordinator, and Corporate Secretary of Twin Vee since June 2011. Ms. Ball previously was Director of Operations of a high performance boat line (Sonic) from 2004 until 2011. Prior to Sonic, she was responsible for foreign and domestic sales, purchasing, and operations for Florida Boat Works’ team in the acquisition of Dakota Yachts in January 2002 until its merger with Sonic in 2004. Ms. Barnett has been our Chief Financial and Accounting Officer and a Director since 2018. Between May 2017 and March 2018 Ms. Barnett provided accounting services for corporate, municipal and non-profit entities. Ms. Barnett was the Clerk/Treasurer for Bridgewater, New York. (2014-2017), the Treasurer of Amityville, New York (2004-2014) and an accounting manager for The Berkley Group, a division of AON Insurance (1998-2003). In May 2017, Twin Vee purchased a $500,000 DMS 5-axis CNC router which features advanced tooling and computer-automated manufacturing. Twin Vee utilizes Dan Mielke, PE, Naval Architect to aid in the company’s engineering efforts headed by Preston Yarborough. 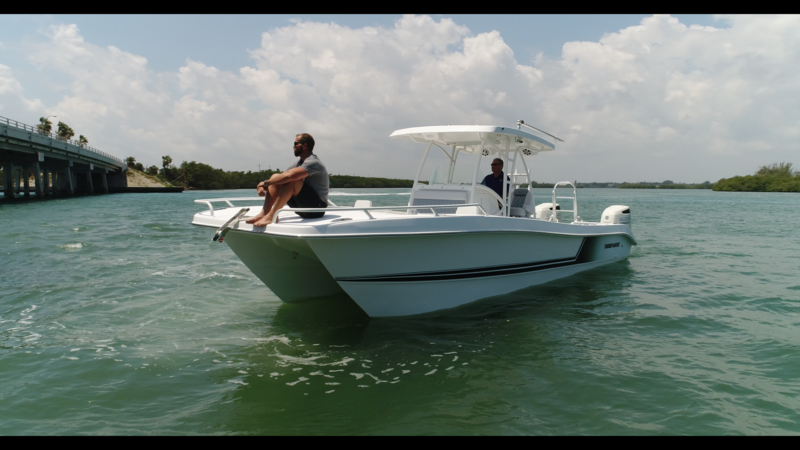 Dan has headed similar assignments for such boat manufacturers as Hinckley Boats, Boston Whaler, Bluewater, Edgewater, Bahama Boats and Everglades Boats. Utilizing 3D CAD / CAM software with CNC machining, Twin Vee believes it will reduce Design-to-Production time in half. Twin Vee’s employees strive to focus a significant attention to detail on every Twin Vee PowerCat before it leaves the factory. 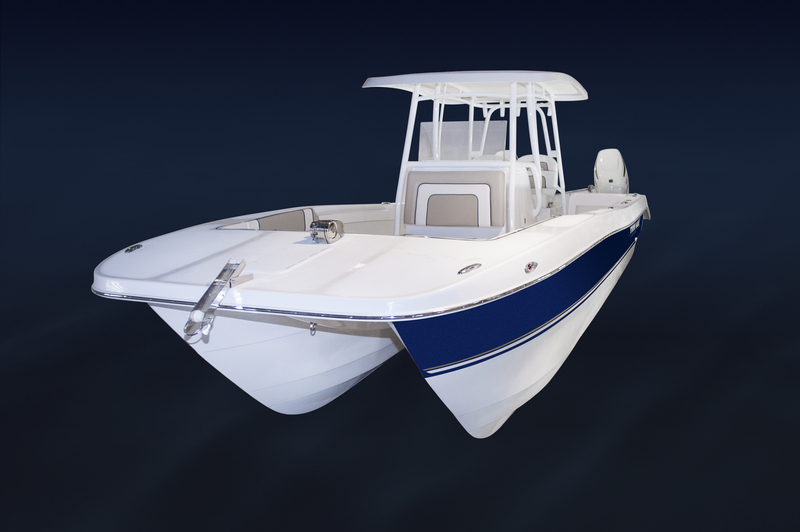 The Twin Vee manufacturing process begins with hand-laid, solid-laminated fiberglass hulls designed and constructed for durability. Twin Vee uses only what it considers to be high quality marine suppliers and specifies all fittings, standard equipment and accessories for strength and resistance to corrosion. Twin Vee hulls are also self bailing, allowing water to flow out the stern of the boat in extreme conditions. 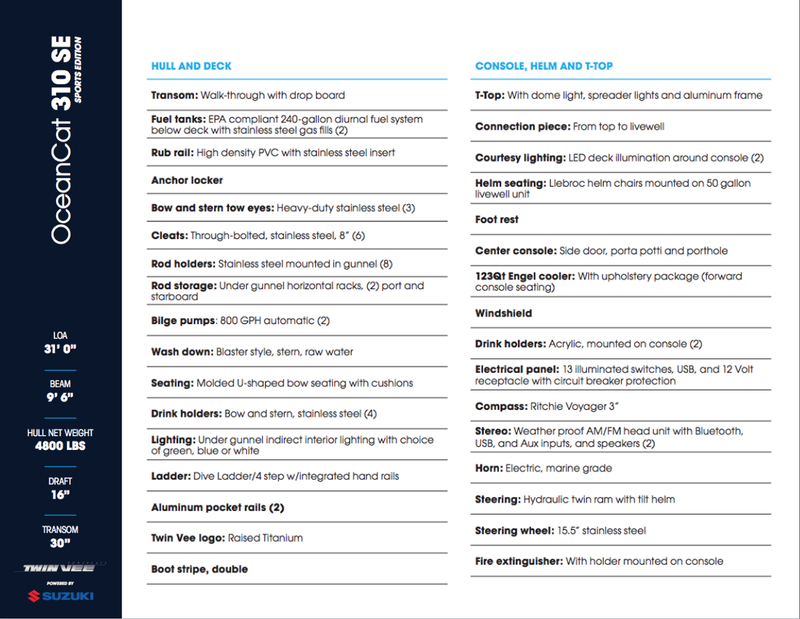 We believe these features make Twin Vee boats durable for a lifetime and essentially unsinkable. The gunnels receive the most abuse over the life of a boat. 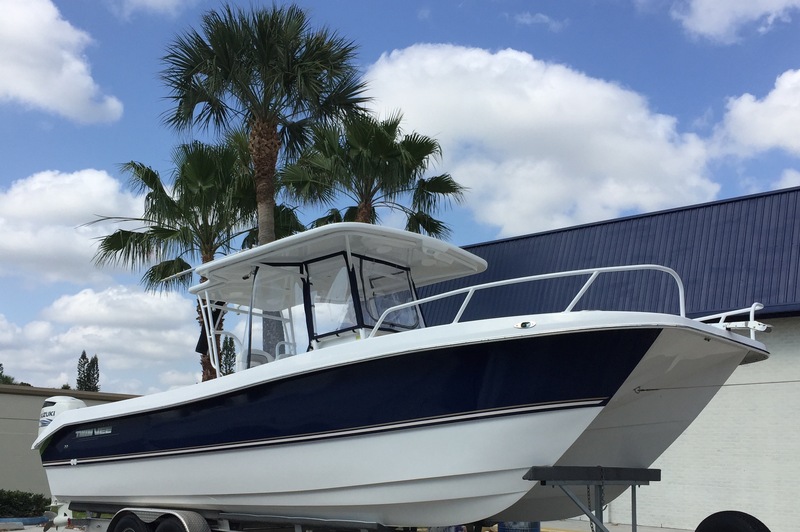 Twin Vee’s rolled gunnel construction seamlessly connects the cap across the entire hull with structural bonding adhesive and stainless steel through-bolts to create a single uni-body structure. 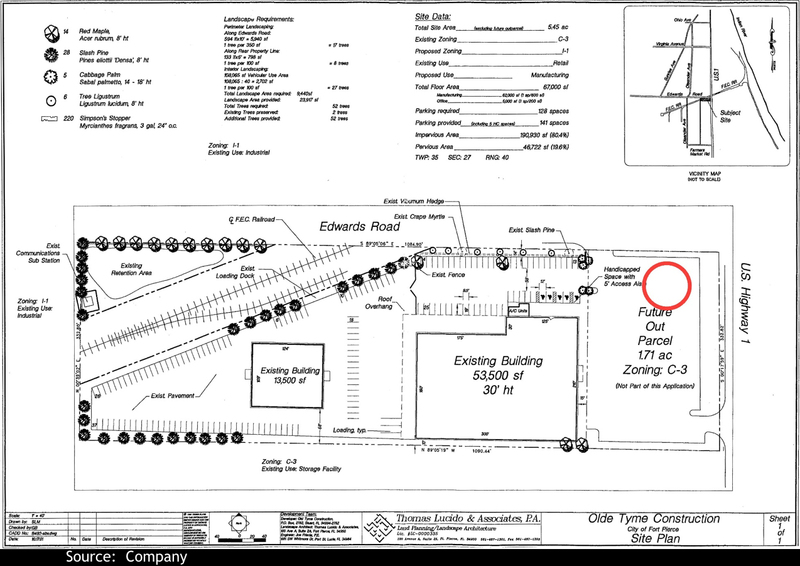 7 acre factory parcel with 80,000 square feet currently under roof. Plan to fully enclose an additional 70,000 square feet in a modernized, climate control 150,000 square feet manufacturing environment. Plan to increase current single shift to double shift with modernized dual assembly line operations. Planned additional capital equipment to include CNC routers, 120 ton crane, resin tanks, air compressors and ERP inventory management system. Planned expansion is expected to increase manufacturing capacity to over 700 boats per year. In our opinion, the goal of any great company is to create a product or service that exceeds the expectations of their customers while exciting imaginations. 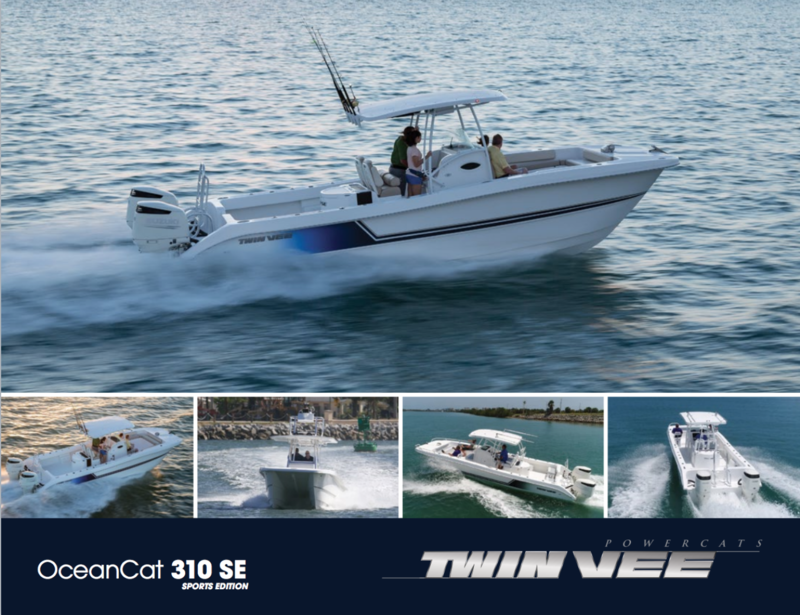 Design, innovation, quality and affordability are what matters in business and we believe Twin Vee PowerCats is leading the way with the Twin Hull technology revolution. “Two Years ago, I changed my life’s direction by acquiring a boat manufacturer. While I knew Twin Vee was a popular, efficient, and an affordable brand - what I came to realize over the past couple of years was the real asset of Twin Vee was its customers. I believe Twin Vee owners don’t float from brand to brand, but have a passionate and dedicated belief in Dual Hull Technology. 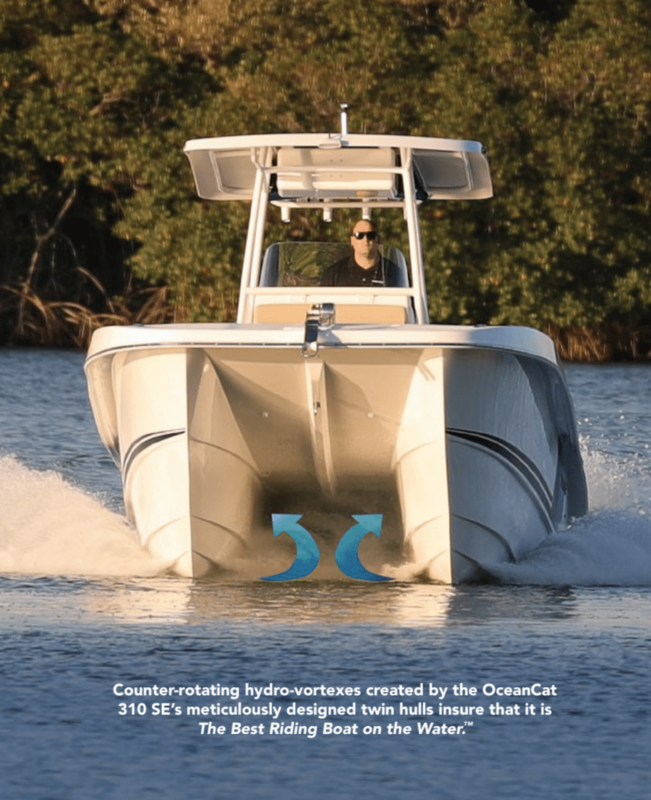 Moreover, it’s my opinion that Cat owners intellectually understand why a dual hull boat is a superior boating experience - from more deck space, better fuel efficiency, less draft, more stability, less rocking, superior wave and wake cutting technology and safer water access for divers and children. In my view, adding different colors or changing upholstery is not enough for a discerning customer to transition to a new brand of boat. As a company, you must constantly evolve and improve on your products. 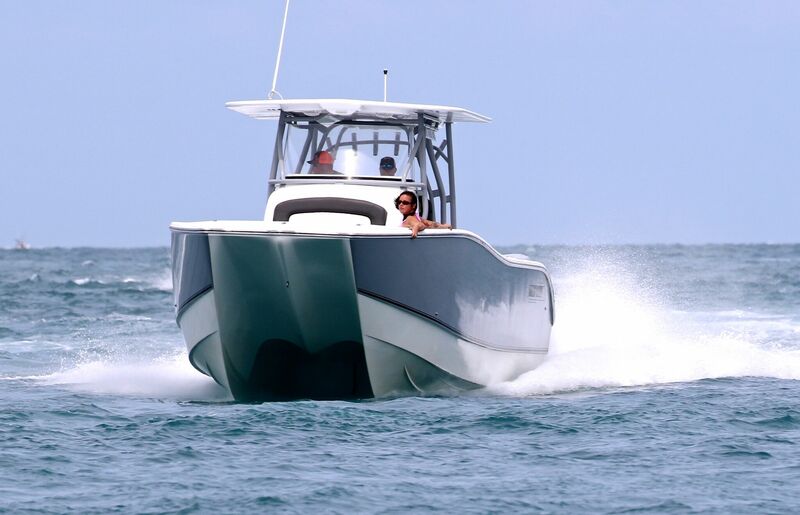 At Twin Vee, we strive to push forward with technology, and we believe our engineers, and craftspeople are innovating and designing the Next Generation of Power Catamarans. 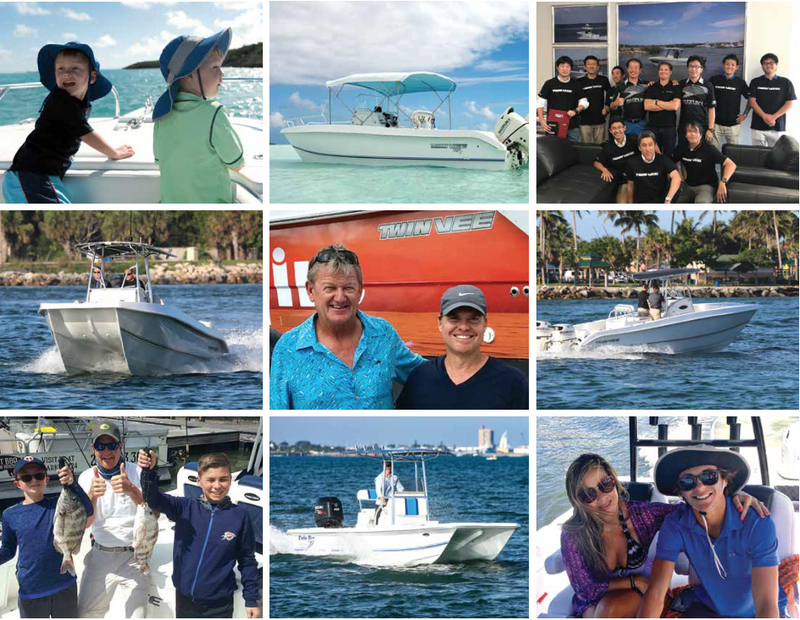 “The Best Riding Boats on the Water”TM on our business card, website, and brochure is not intended to be a cute marketing slogan, but reflects our Company’s highest and greatest goal : to design and build “best in class” boats. It is my belief that Twin Hull Technology is revolutionizing the consumer and pro offshore market. 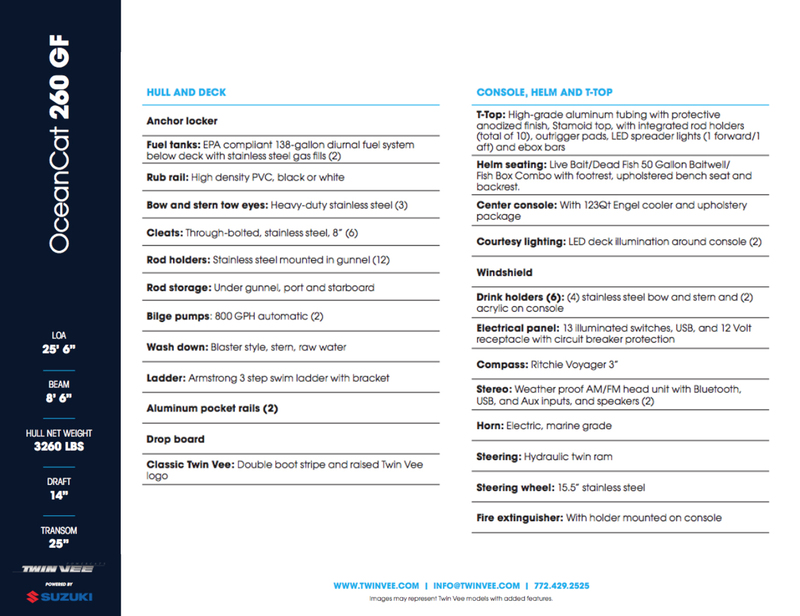 We consider dual hull boats to be the norm in the transport, recreation, racing, and the pontoon markets. Why is that? Are dual hull boats less expensive to manufacture? Are they easier to build? We believe the answer is simple: catamarans cost more to design, more to build, and catamarans cost much more to market than other boats. 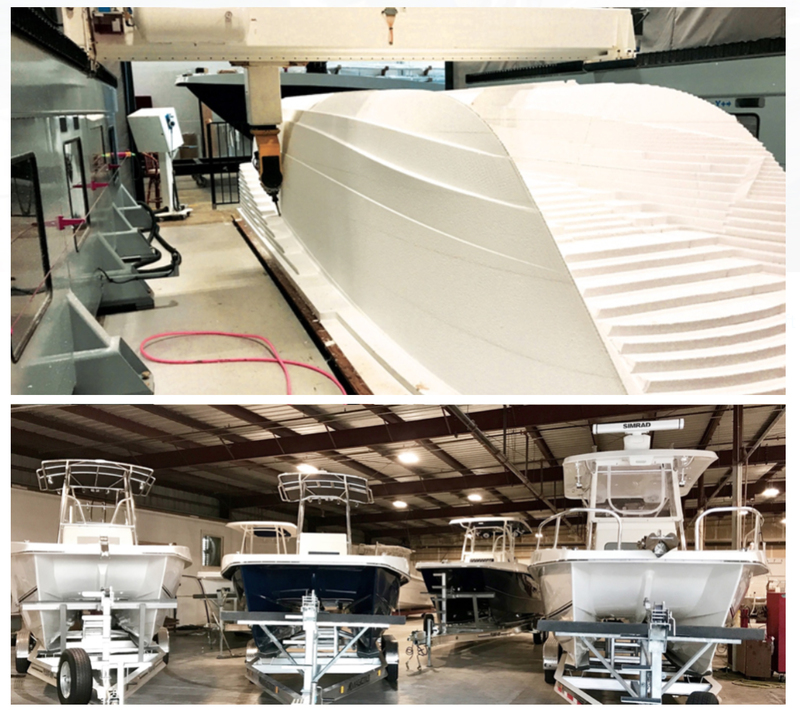 It is our view that a fiberglass catamaran boat is more complicated to design and requires a higher level of experienced boat builders to execute the lamination, assembly, and rigging process compared to other boats. 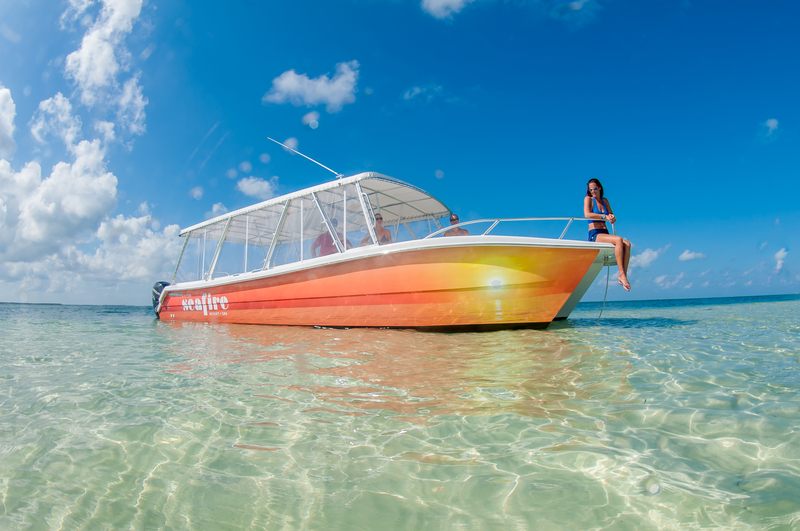 However, we also believe a quality catamaran will hold its value much more in the resale market. I have seen some of our customers re-power their Twin Vee’s four to six times with new motors. I have met with Twin Vee owners that have purchased their sixth, seventh, and eighth Twin Vee. I have had the pleasure of meeting the children that grew up fishing, diving, and enjoying family time on a Twin Vee and now follow their parents in purchasing their own Twin Vee. To all of our loyal customers and future Twin Vee owners, I make you this commitment and promise. Building “The Best Riding Boat on the Water”TM is not only our core mission, but it’s our Company Mantra. We know there are thousands of boat manufactures to choose from and we take your ownership and loyalty to our products very seriously. Team Twin Vee will continue to strive for excellence in product design, quality, and safety for you, your family, and your friends." Go Fish, Go Friends, Go Family, Go Fuel Efficient, and GO have FUN. The following summary is provided for informational purposes only and does not constitute an offer or solicitation to acquire interests in the investment or any related or associated company. Any such offer or solicitation may be made only by means of a confidential Private Placement Memorandum (“Memorandum”) and in accordance with the terms of all applicable securities and other laws. All information contained herein is subject to and qualified by the contents of the Memorandum. As more fully described therein, participation in any securities offering is limited to Accredited Investors. Please contact an Officer or Director of Twin Vee PowerCats, Inc. (the "Company”) or a licensed representative of Boustead Securities, LLC ("Boustead"), the FINRA Registered managing broker-dealer of this Offering, to inquire about obtaining a copy of any such Memorandum. The information and any statistical data contained herein have been obtained from sources which we believe to be reliable, but we do not represent that they are accurate or complete, and they should not be relied upon as such. All opinions expressed and data provided herein are subject to change without notice. This potential investment opportunity may not be suitable for all types of investors. All investments involve different degrees of risk. You should be aware of your risk tolerance level and financial situation at all times. The rights, duties, and obligations of all parties to the proposed transactions, including the Company, will be governed and limited by the operative financing documents and all other governance documents (such as an operating agreement), which will be available upon request to the extent not otherwise provided. The Company does not accept or assume any duties, responsibilities, or obligations except as specifically provided in the final transaction documents. Read any and all information presented carefully before making any investment decisions. All investments presented are subject to market risk and may result in the entire loss of investment. The information contained herein should not be used in any actual transaction without the advice and guidance of legal counsel and a professional tax advisor who is familiar with all the relevant facts. The information contained here is general in nature and is not intended as legal, tax or investment advice. Furthermore, the information contained herein may not be applicable to or suitable for an individual’s specific circumstances or needs and may require consideration of other matters. Neither the Company nor Boustead, their members, directors, officers, employees and consultants assume any obligation to inform any person of any changes in the tax law or other factors that could affect the information contained herein. These materials may include forward-looking statements including financial projections, plans, target and schedules on the basis of currently available information and are intended only as illustrations of potential future performance, and all have been prepared internally. Forward- looking statements, by their very nature, are subject to uncertainties and contingencies and assume certain known and unknown risks. 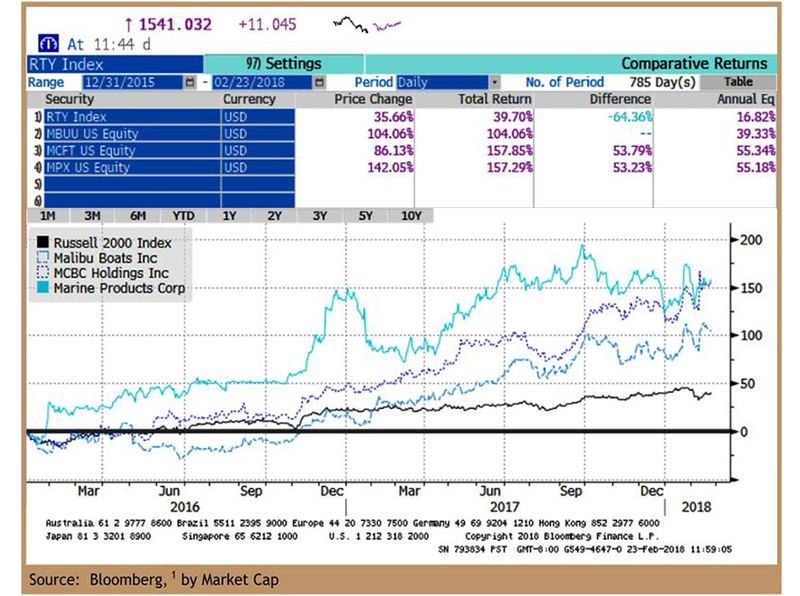 Since the impact of these risks, uncertainties and other factors is unpredictable, actual results and financial performance may substantially differ from the details expressed or implied herein. Neither the Company nor Boustead assume any obligation to release updates or revisions to forward-looking statements contained herein. 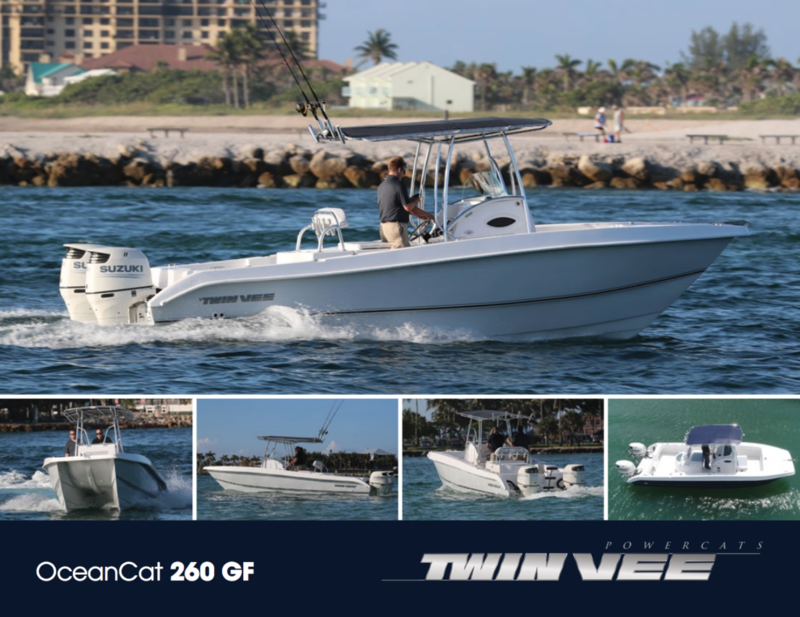 Enter your name and email, and we’ll let Twin Vee PowerCats know you’d like an introduction. You will now receive updates for Twin Vee PowerCats.